City walls are without a doubt Dubrovnik's biggest attraction. They are still the reason number one to visit Dubrovnik. The average visitor stays in Dubrovnik only three days and as far as I know they spend most of the time within the old town, visiting museums, walking the city walls, and enjoying Dubrovnik bars and clubs. Nevertheless, there are many things to do in Dubrovnik beyond the city walls. Dubrovnik is much more than the old town. And you won't believe how much more affordable it gets once you leave the old town. Here are things to do in Dubrovnik beyond the city walls. Experience Olive Oil Tasting in Konavle! OK, we might be slightly overexcited with the olive oil. OK, actually we are nuts about olive oil. We don't travel anywhere (not even for a weekend break!) without a provision of Croatian olive oil. This is why we always happily jump on any opportunity for olive oil tasting. In Konavle region, just south of Dubrovnik, you can visit local producers and taste their olive oils. There are also few tour companies offering this experience as an organized tour. However, you can also call directly the producer and arrange an individual visit. We are not too keen on organized tours, so we called directly. We've visited a family farm Glavinja, located in Cilipi. Small, beautiful tasting room is situated in a rustic family house. It is open daily from 7 pm to 9 pm. Reservation is needed (contacts: Grušići 6, Čilipi; tel. +385 20 771 280, mob.+385 99 5102 995, email: i.glavinja@gmail.com). Spend a day at Elafiti Islands! The islands are just off the coast of Dubrovnik, and a great getaway from the hustle and bustle of Dubrovnik. This is a small archipelago consisting of more than 10 islands. Only three islands are inhabited: Sipan, Lopud and Kolocep. Ferries leave frequently from Dubrovnik port, and you can also hop on smaller tour boats that offer day trips to the islands. You can relax by the sea, hike, or cycle around the islands. Kolocep and Lopud Islands are car free. Visit Arboretum Trsteno! This beautiful 70-acre arboretum is located in a small village Trsteno, a 20 minutes drive from Dubrovnik. Parking is limited, so you might consider taking a local bus to Trsteno (less headache!). The arboretum gradually descent from the road toward the sea. 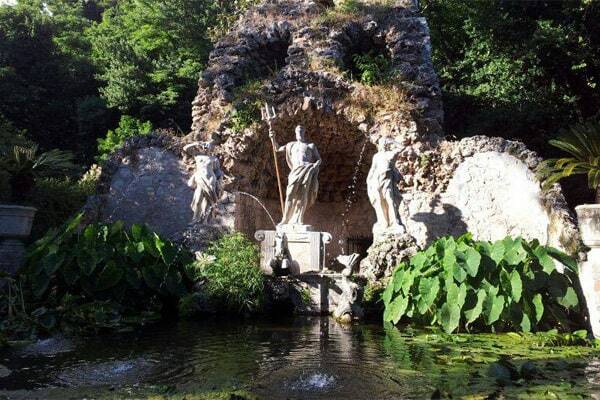 It includes a Renaissance garden and villa, nice symmetrical fountain with nymphs and Neptune sculptures, over 14 arches aqueduct, and a small chapel. The fountain spouts water in a pond full of small fish and waterlilies. You'll also notice some old oil presses. It can be a nice, and different day out if you are staying in Dubrovnik. 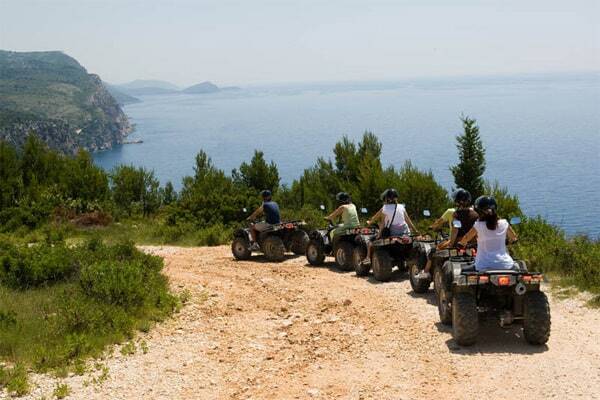 ATV safari / Horse-back riding at Kojan Koral: Kojan Koral is located in a small village of Popovici, 30 km South from Dubrovnik. It's run by my friend Pero, so beware 🙂 I can only say the best things about him and his tours. Both tours are guided, and take you through the countryside. The path takes you to the edge of the rocky coastline, and the views are amazing. Stables at Kojan Koral are really kept clean, and there is a nice outside area where the staff prepares a small snack for you upon your return from the tour. Sea Kayaking: I like sea kayaking (and I am seriously contemplating buying a one for the two of us). In Dubrovnik many tour companies offer a sea kayaking tour. Tours are guided, and you shouldn't worry about your level of experience. It's just lots of fun, and eventually you also learn how to paddle :). You can book a half-day or a full-day tour. Each of them provides some nice stops along the way, swimming and cliff jumping, as well as snacks. Spend a day at the beach. Dubrovnik has many beaches. 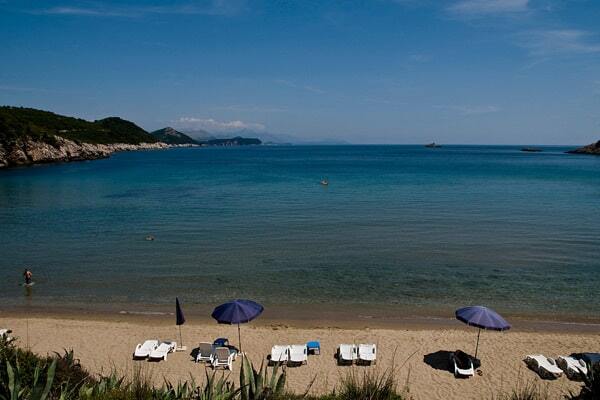 Pick out your favorite beach in Dubrovnik, lay your towel down and relax. Eat local in Konavle. Konavle is a rural region where, among other things, locals go for a hearty meal. 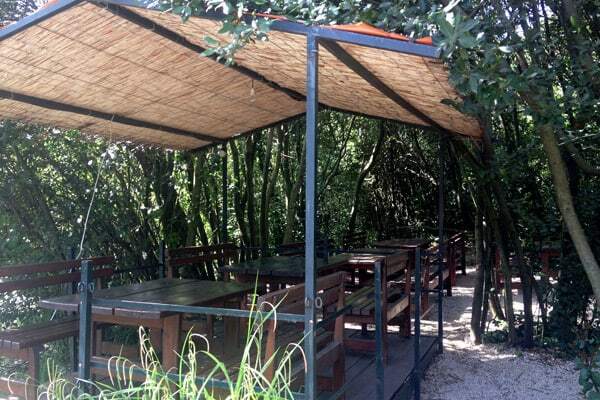 The most popular village for dining out is Gruda. The most touristy of all restaurants in Konavle is a restaurant Konavoski dvori. However, we always eat at the tavern Vinica Monković. They have a gorgeous terrace right at the river bank. Wine tasting: Konavle Valley is a very fertile valley, and has always been an important wine-growing area. There are many small and large family own wineries in this area. You can book a wine tasting tour through a tour company. However if you shy away from group tours, you can simply book directly with a winery. We enjoy a lot Karaman's dry white wine Dubrovacka Malvasija, and would naturally advise you to visit Karaman winery (contacts: Pridvorje, 20217 Pridvorje; tel. +385 20 797 008, mob: +385 98 238 386). But any one will probably provide similar experience. Drive the old Napoleon road. Now, this is a special one that I wouldn't know anything about if it wasn't for my father-in-law. That guy knows every corner of Dalmatia. The old Napoleon road runs above and parallel with the main national road. We took the Napoleon road from the village of Trsteno to the village of Slano. Now if you are fit, you can also cycle along this road. However, we are not that fit. We just drove in the car. This road will award you with some of the best views you can imagine. The view stretches far and wide. Have you been to Dubrovnik? What have you enjoyed the most during your stay. Let us know in the comments below. Thanks Frank for all the info. Has anyone actually biked the Napoleon Road? Any thoughts on how I could arrange bike rental in that region (a google search did not turn up much information)? Hi Nick, yes local enthusiasts bike on that road. Napoleon road was a nice tip, thanks! We started at the arboretum in Trsteno, where we walked around in the cool shade and enjoyed the gardens and ocean views. From there, the napoleon road climbed up the hill and like you said, amazing views. Stopped in Mali Ston for a great meal and then went to the beach for the afternoon. Thanks for the great recommendation! I would love to stay somewhere in the wine country in and around Dubrovnik for a day or two. Any suggestions. Looking forward to going to Dubrovnik, but honestly a bit frightened about the crowd situation so I have to say thanks for putting my mind at ease that there is a multitude of things to do outside walking the city walls and battling the crowds. Thanks, Frank! Thanks for reading, Megan! Dubrovnik can be crowded, but if you get to the old town early in the morning or late in the afternoon, you should be OK. And yes, you can always escape to the countryside. Enjoy your time in Croatia and let us know if we can help with anything. I was there with my friends last year. It was great experience. We were fascinated with Dubrovnik and its history,but we wanted to see its surroundings, and we have not repented. 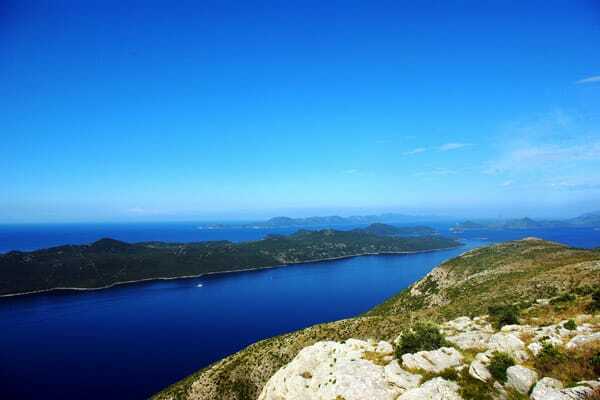 We visited island Mljet, our friends recommended us that trip and Adriatic explore. We were satisfied, and national park on the island is so beautiful, we were surrounded by sea and nature whole the time. Thanks, these are some really excellent tips. We don’t like doing tours either so appreciate your advice to contact the wineries etc directly. Kayaking would be such a fun adventure! But honestly just driving along the coast would be just as amazing. Doing anything while experiencing that amazing landscape would be fun! Adding Dubrovnik to my bucket list! Great post, thank you for sharing! Thanks, Sara! The road from Neretva Valley to Dubrovnik is actually my favorite scenic drive in Croatia. Sometimes people compare it with parts of California. I’ve only visited the East Coast, and wouldn’t know it myself. If you decide to visit Croatia, let us know. We’d be happy to help with your trip. All of them please! But I am most curious to do olive oil tasting since I’ve never done it before. Dubrovnik was one of the most beautiful places I’ve ever visited. You make me wish I’d been there longer than one day! Thanks for your comment, Michael! Wow, glad that Dubrovnik left such a good impression on you. Usually people visit it for a day or two, and many visitors miss the surrounding area. It’s as beautiful, though. Wine tasting please! With olives and prshuta. Beach and horse riding for me, PLEASE!